A testamentary trust is part of a will. This type of trust will be established after the grantor’s passing and during the will’s probate phase. An older couple, Michael and Stephanie, have adult children and grandchildren. Michael and Stephanie want to help their grandchildren, great-grandchildren (and more, if possible) with their higher education expenses. The couple currently have a separate brokerage account set up just for this. Rather than transferring this account into their minor grandchildren’s names right now, the couple decide to set up a testamentary trust, which is a part of their will. This gives Michael and Stephanie access to their brokerage account while they are still alive for a dire financial emergency. Assuming everything goes according to their financial plan, their testamentary trust will be established after Michael and Stephanie pass away. It will be overseen by two co-trustees, their adult daughter Monica and their financial adviser. The testamentary trust will be professionally managed by the financial adviser. Daughter Monica is empowered through the trust to choose a different adviser, who will become a future co-trustee; any future adviser must be licensed and with an established, national firm. Michael and Stephanie have planned an investment strategy so that gains in the fund are reinvested and that $30,000 per descendant can go toward higher education. Monica (and her successor trustees) are not empowered to withdraw any funds unless the funds are for higher education expenses. Funds can be drawn via check and the check can only be made out to a college or other institution of higher learning. This is all spelled out in the trust. 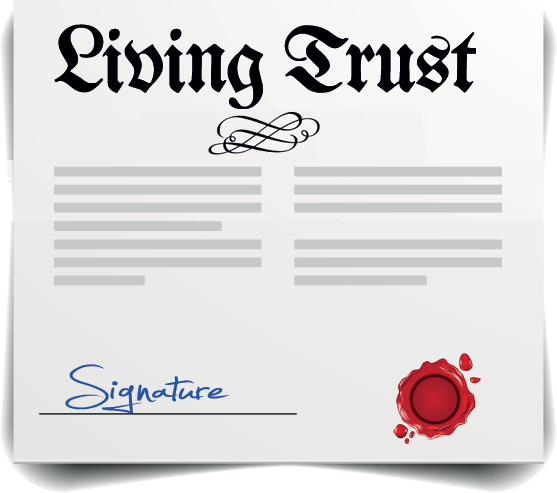 There are two types of living trusts: revocable and irrevocable. A revocable trust gives you most flexibility, but no estate tax benefit. An irrevocable trust gives you minimal flexibility but maximum estate tax benefit. With a revocable trust you continue to control the assets when you are the trustee. You can change or undo the trust any time you wish. This gives you maximum flexibility to manage the trust’s assets while you are alive, while knowing the assets will not be subject to probate and therefore can pass rather quickly to your beneficiaries. 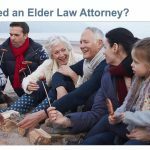 Probate can be a long and costly event. The period of time can vary but at least a year is normal. Your estate will also incur attorney’s fees and other expenses during probate. In some states the probate court determines what “reasonable” probate fees will be. With a revocable trust, your beneficiaries will need to understand their own tax situation and to pay the appropriate taxes once they’ve acquired what you’ve passed on to them. An irrevocable trust allows you to permanently and irrevocably give away your assets to your trust during your lifetime. 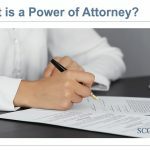 That word “permanent” means what it says: once the trust is in place, it cannot be undone unless the grantor and all beneficiaries agree to it. The advantage has everything to do with estate taxes: since the assets are no longer yours, they are no longer a part of your estate. 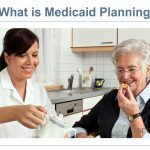 “No estate taxes” is very attractive but the permanent aspect of this trust makes its use to be one for a specific purpose, such as Medicaid Planning. Discuss this option with your team of advisers and see if right for you. Contact Scott D. Bloom law for more information about using a trust in your estate plan.